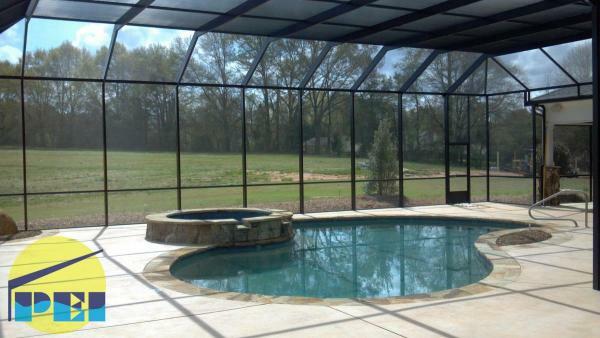 Screened Swimming Pool Enclosures provides for a bug-free environment. A screen enclosure will lower the pool temperature 5-8 degrees and will keep your pool cleaner by keeping out leaves and pine needles. 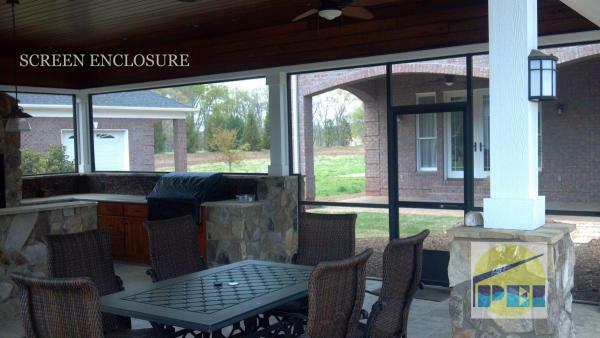 A screen enclosure will extend the life or your pool liner and deck. All structures are engineered for local wind loads. We also provide year'round solid roof pool enclosures, sunrooms, conservatories and greenhouses.